This weekend was of reflection and socializing with new friends in their homes and environments. It is all good, food, culture, attitudes. Life is a buffet. Be in command, eat what you want, sample it all otherwise you will miss out. Since last blog we have had temps to 15 below zero. The llamas get concerned at these temperatures. Everything is ok. The llamaheater is functioning and we have had and are working to a plan. The kids are fine. I took the tractor out for a spin in the snow. Things are ok out in the woods. The heater and radio worked well in the tractor. The woods are especially beautiful in the winter. 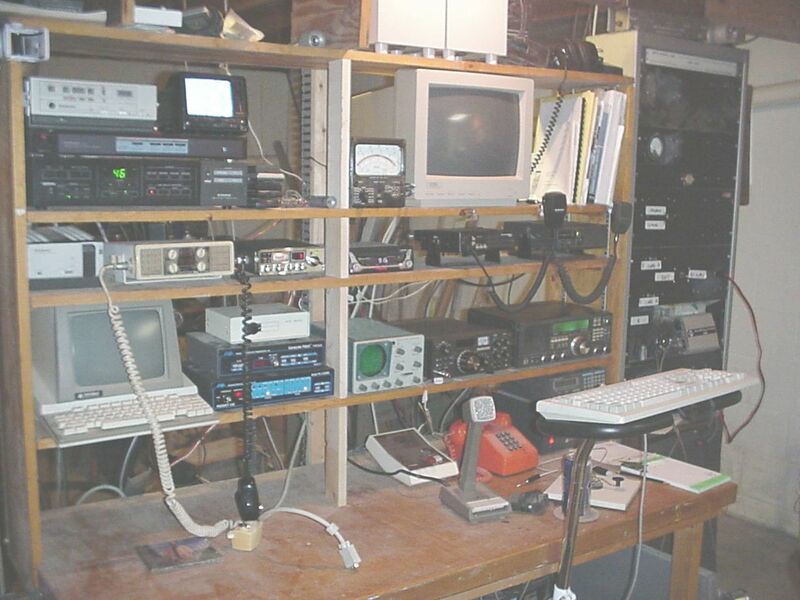 The pic is of my ham station (N2TYQ, November Two Tango Yankee Quebec) as of today. Things change, sometimes not visibly, but the shack changes. Sometime I may have to add callouts to this pic. Everything works. The keyboard is on my peddle generator handlebars. You cannot see it all, but I think you can get the idea. My Internet connection is via satellite (2 way, uplink and downlink); I am not dependent on wires for the net. I could go on and on regarding projects in and about this picture. It is the holiday time. I like the lights people put on their houses. The question is why. I hope everyone asks why. I am sure there is a huge variety in the answer to why?